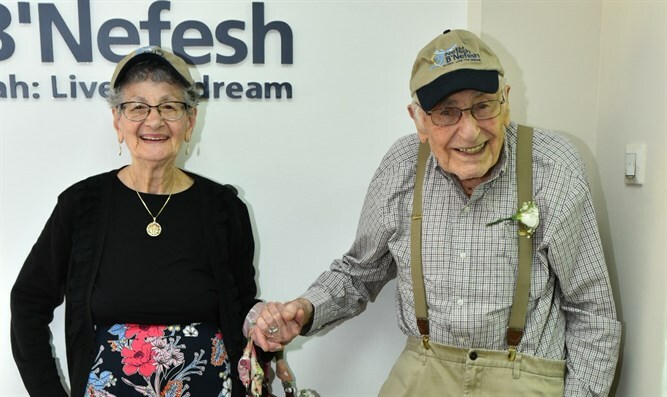 Chicago natives Devorah ‘Doris’ Levitz (91) and Norman Levitz (93) made Aliyah this past Wednesday at the Nefesh B’Nefesh office in Jerusalem. The couple has one son, Ephraim, living in Israel, as well as many grandchildren and great-grandchildren. From the time their son made Aliyah 40 years ago, Devorah and Norman have come to visit Israel at least once a year. Now, they have officially decided to call Israel their permanent home. The Levitz Aliyah was made possible by Nefesh B'Nefesh's Guided Aliyah Program, which works together with the Population and Immigration Authority, the Ministry of Aliyah and Integration, the Jewish Agency, Keren Kayemeth LeIsrael and JNF-USA.